Green Sea Guard builds and supplies equipment that monitors the emission of ship engines. The importance of analysing the exhaust emission of an engine provides a view of the performance of the engine, whether it relates to how well the engine is tuned, the fuel consumption and of course the level of harmful gases. Not only that, the information from these measurements are transmitted to our servers in real time. By using a high precision analysis system it is possible to gain an excellent picture of the engine performance. We provide two types of analysis, gases and particulates. 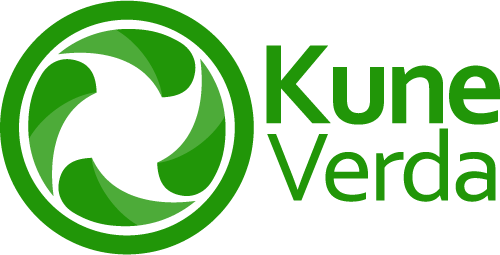 Since november 2017, KuneVerda is exclusive agent for the Green Sea Guard products. Coastguards currently enforce UN regulations by manual inspection of fuel tanks and by inspecting paper fuel receipts. These methods are time-consuming, impacting ship profitability. The manual inspections can take up to four days, so the ship will be incurring additional operating costs and schedule delays. Fuel receipts are often inaccurate and can be forged relatively easily, a known problem to regulators. Fitting a Green Sea Guard SEEC system allows shipowners to avoid costly and time consuming fuel and receipt inspections, granting coastguards and port authorities the benefits of automation. The SEEC G100 provides very accurate, high resolution and simultaneous readings of an engine’s exhaust gases. This precise picture of the composition of the exhaust gases produces an extremely valuable view of the performance of an engine. We have used this array to diagnose several engine faults to date and are currently developing algorithms that will allow automated engine diagnosis. Up to nine gases are monitored; this number includes all the toxic and non-toxic gases that need to be reported to regulators. 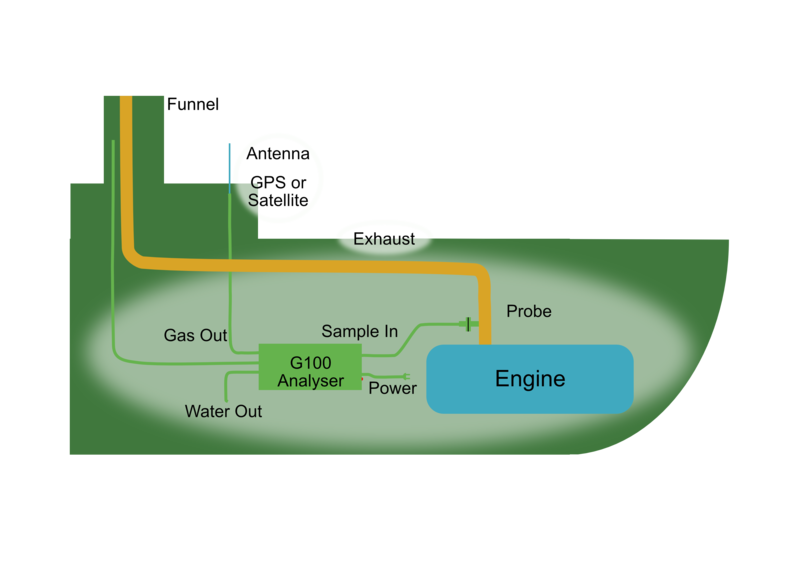 Aside is a diagram that shows the general positioning of the G100 within the engine room. As ship engine room layout and size varies so much, it is necessary to survey the ship’s engine room to ensure the most appropriate and safe location of the G100. Routing for the signal that carries the data can be direct to our GPS antenna, a satellite link, or via systems already installed on board the ship. Power can be derived from mains voltage supplies or DC supplies. For more information please contact KuneVerda. SEEC G100 is our base device. This remarkable analyser array offers high-resolution readings of up to nine gases at a time. This number includes all the toxic gases that need to be reported to regulators. We have used this array to diagnose a number of engine faults to date and are currently developing algorithms that will allow automated engine diagnosis. SEEC G200 is currently under development, but has a greater capacity to run long-term without breaks for recalibration. Twin devices recalibrate each other as the device works, resulting in minimal down time. We expect to add this flexible array to our existing ocean-going vessel base set-up. Its great strength lies in carbon emissions monitoring. SEEC G300 is, we believe, the most advanced particulates system currently used in the maritime sector. 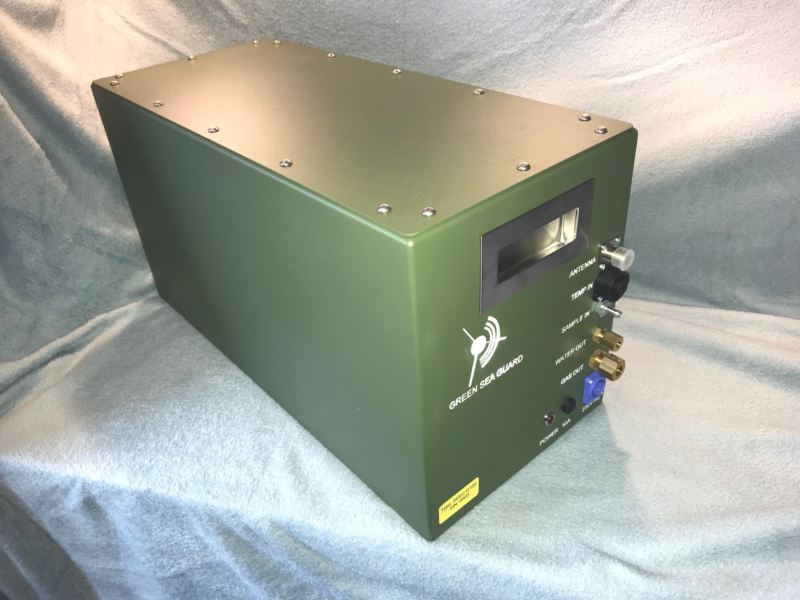 It does not suffer the issues that laser-based products encounter: typically a laser will produce low results at higher particulate concentrations due to particulates "making" each other. The SEEC 300, by contrast, uses a non-laser method which performs well across the spectrum.